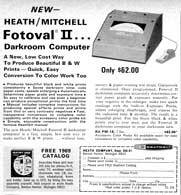 The evolution of the Fotoval. 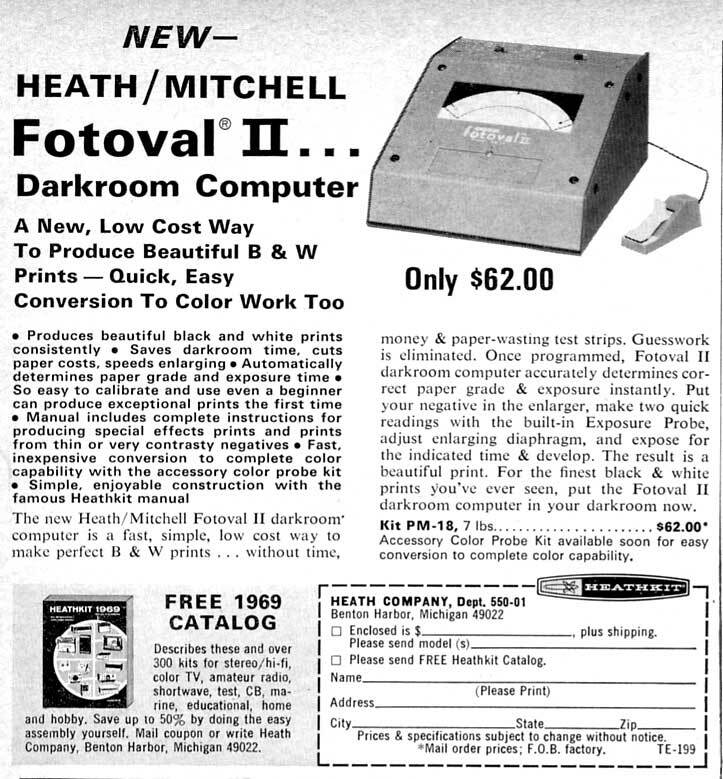 As far as I know, there were no Weston versions of this machine, they were just Heathkit units. 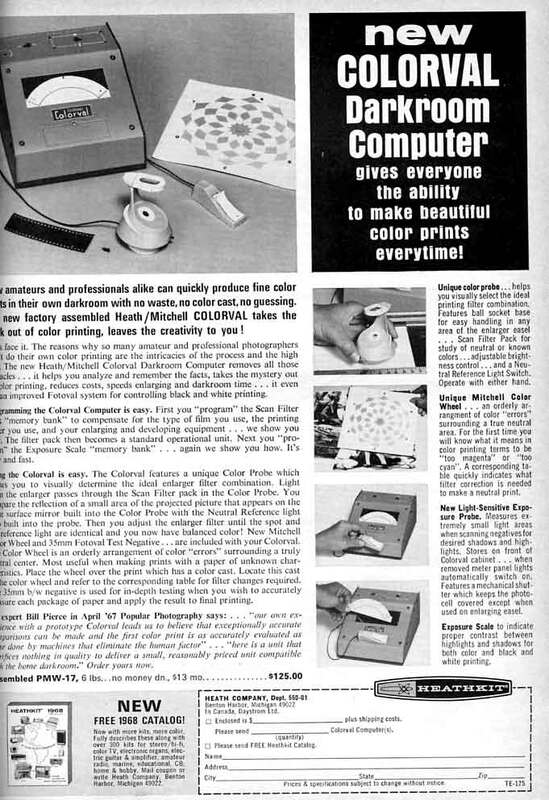 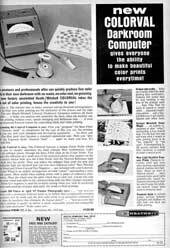 As usual, I never understand why an ad for a color computer would rate a B&W advertisement.